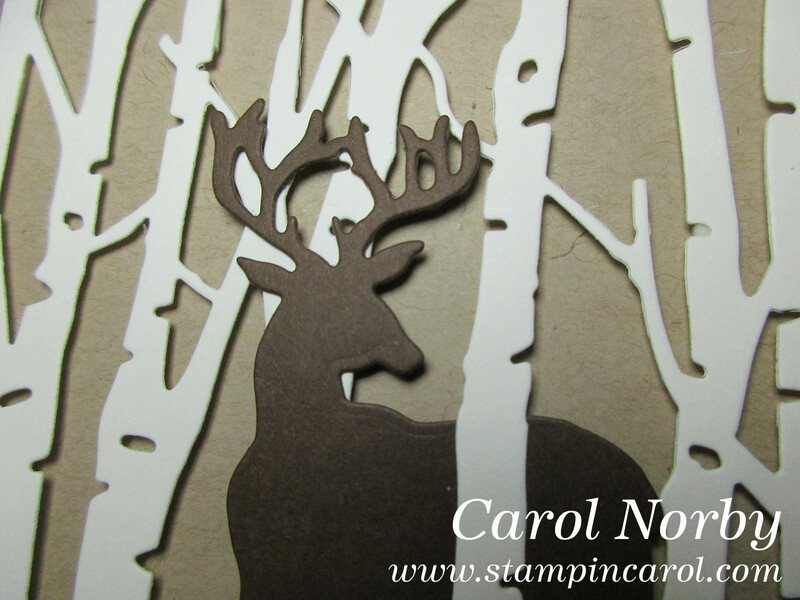 A few weeks ago I went to Mesa, AZ for a stamp and scrapbook expo. I've been attending this twice yearly show off and on since the 1990s and yearly since 2009 or so. 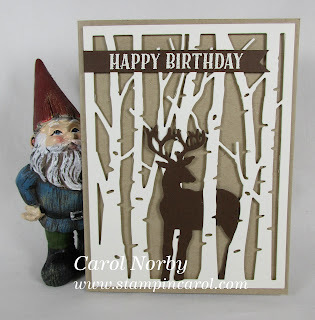 A couple times I worked it in September for Fun Stampers Journey. I was looking for some particular products and checked out the Rubbernecker booth and found a cool die called Birch Forest. Well, I wasn't looking for it but I bought it anyway. Here's my first card using it. 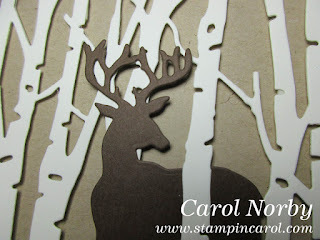 The cool Buck is from the Deer N Trees (S4-775) die set. This is a really cool holiday die set! The sentiment is from a set that was retired but I found it back on the site called Dude Ranch (SS-0477). After I made this card I did a search on Pinterest and found all kinds of great inspiration! I'll be using these dies a whole lot more! Do you use Pinterest for inspiration?